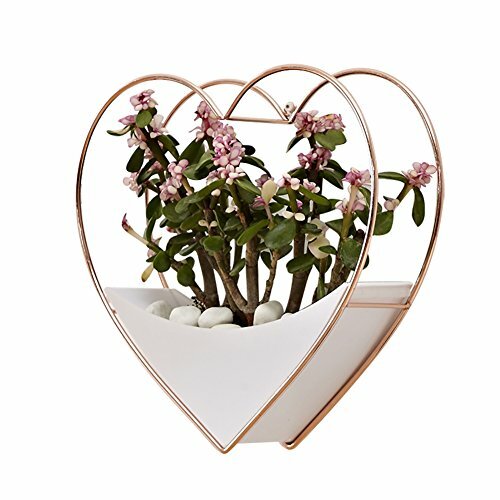 Hanging Wall Vase Planter,Heart Shape Geometric Wall Hanging Decor Succulent Planter Flower Pot Indoor Wall Planter,Rose Gold and White by cheerfullus at Tulips Orchids. Hurry! Limited time offer. Offer valid only while supplies last.